Trapped in a world where magic is powerful and dreams are real, Cole continues his quest in book three of this New York Times bestselling "fanciful, action-packed adventure" series (Publishers Weekly, starred review), from the author of the Fablehaven and Beyonders series. Cole Randolph still can't believe the way his life has been turned inside out. Stuck in a strange land far from home, he found his friend Dalton and has survived the first two kingdoms of the Outskirts. But none of that has prepared him for the magnetic highways and robotic bounty hunters of Zeropolis. On the run from the High King's secret police, Cole and Dalton venture to find more of their lost friends—and help their new friend, Mira, locate her sister Constance. 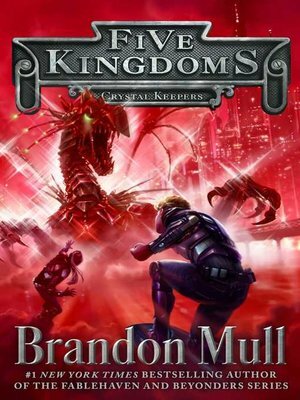 But as their enemies ruthlessly dismantle the resistance, time is running out for Cole to uncover the secrets behind the Zeropolitan government and unravel the mystery of who helped the High King steal his daughters' powers.